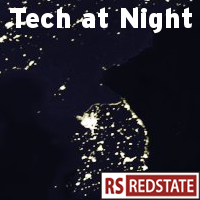 Tech at Night: RIAA, DMCA, Viacom, Google, Gun Owners of America, Free Press I’m ready for October. How do you know when the Net Neutrality proposals of the neo-Marxist group Free Press are really out there? 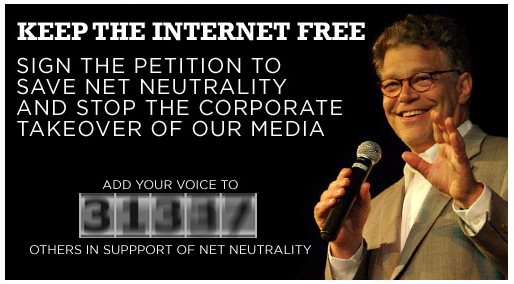 When the 31337* Al Franken is building his mailing list off of promoting the radical fringe’s version of the Net Neutrality agenda, you know you’re off in loony land. Reading his poorly thought out rhetoric gives the same effect. He claims that we need massive government regulation of the Internet in order to make speech more free. Yes that’s right, freedom is slavery. Also, war is peace and ignorance is strength, if you listen to Al Franken and Free Press. Media Freedom is all over Free Press, too, but one article I liked was their piece highlighting the constantly shifting rhetoric. Free Press has no agenda but government control, and they’ll take it by any means necessary: acts of Congress, FCC power grabs, anything. The best part, Free Press has a real, live Moby driving their agenda. “Moby,” of course, was the musician who encourages leftists to admit they have no positive agenda, give up on meaningful discourse, and just pose as Republicans online. Looking ahead, we may need to watch for green protectionism going forward. Sure, right now it’s in Australia, and they’re making an issue of “un-green” toilet paper. But radical groups like Greenpeace have been gunning for tech firms for some time, and I wouldn’t put it past them to try to ban or severely tax the importation of gadgets that the radical fringe doesn’t like. Watch for it. And one more point for the night: California is gunning for the Internet. In a desperate bid to keep from having to cut spending to the Union fatcats, effectively a kickback for donations to Democrats running for office, California Democrats want to tax businesses in other states for selling to California residents online. For a while now the state has attempted to get California residents to pay a “use tax” on their CA 540 tax return form, applying the sales tax rate to all purchases from out of state. I imagine this hasn’t collected much revenue, so now they’re going to try to go directly to the source. But California isn’t the only state thinking along these lines: North Carolina is demanding Amazon hand over private data about those of us who buy from them. The goal, of course, is to extract more tax revenue from North Carolina residents. How outlandish is that new plan? Even the ACLU opposes it. * Teenagers online who wanted to act like “hackers” once upon a time called themselves 31337 (which means elite if you misspell the word and turn the letters into similar-looking numbers). Al Franken’s website starts with an image that calls him 31337. Pathetic.